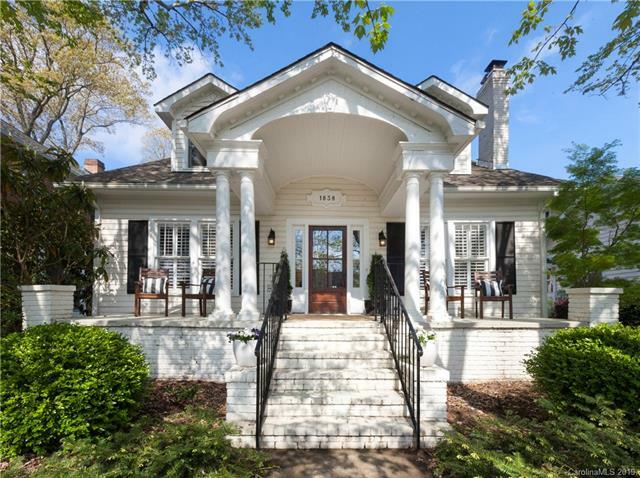 Formerly on the Annual Dilworth Home Tour, this beautifully renovated 4bed/3bath home is a true work of art. Stunning kitchen renovation with Carrera marble countertops, high end appliances, custom glass cabinetry, and desk nook make this a chef's (and entertainers!) dream. Gorgeous, light-filled living room with breakfast nook open to brick patio and screened-in porch overlooking the garden. Details throughout like pops of colorful wallpaper, built-in bookshelves, wet bar, coffered ceilings, and more, give this home warm, charming and designer feel. Reading nook, large master (with fireplace!) and two additional bedrooms upstairs. You will not want to miss the master closet! Guest bedroom with charming full bath on first floor. An absolute must see! Less than a minute walk to both Freedom Park and East Blvd dining, shops and nightlife. Complete the form below and one of our agents will contact you. Or, if you'd rather, you can reach us via phone at 704-491-5373.